This past April I was fortunate to be able to spend some time in one of my all time favorite cities - Amsterdam. Amsterdam has more bridges than Venice? Monet painted the South Church during a visit to the Netherlands? I ADORE Amsterdam. I have all the feels for it. Every. Single. One. Of. Them. Couples, families, groups of friends…Amsterdam can handle it all. My stay in Amsterdam was short. But I took the opportunity to meet up with one of my favorite and most trusted suppliers and experienced Amsterdam the way my clients do. 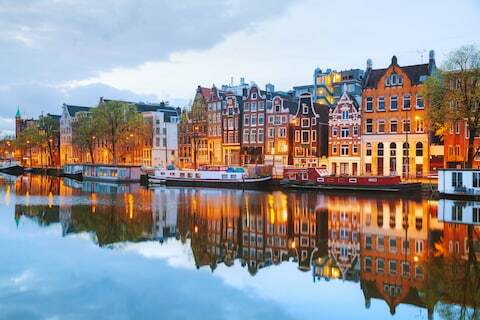 I started my trip with ½ day walking tour that included the Anne Frank House followed by a private, 2-hour canal cruise on the UNESCO protected Canal belt with traditional Dutch snacks to further introduce this jewel of a city. Guys, I work with some of the very best tour guides in Amsterdam and I loved getting to experience them firsthand so much! Another must do is a visit to Museumplein - home to Rijksmuseum, the Van Gogh Museum and the Stedieliik Museum of Modern Art. Amsterdam is also one of the finest culinary destinations in Europe. The list is long, varied and ever changing. I am always happy to suggest options based upon my clients’ dining preferences. Parks, tulip bulb markets and fabulous shopping…and I could go on and on. I’d love to chat with you more about the fabulousness that is the Netherlands. Situated in the heart of Amsterdam in by the Amstel River the Hotel De L’Europe was my home while in Amsterdam. For you movie buffs, Alfred Hitchcock shot “Foreign Correspondent” (1940) in Amsterdam, he chose the Hotel De L’Europe as the backdrop for some of its most important scenes. 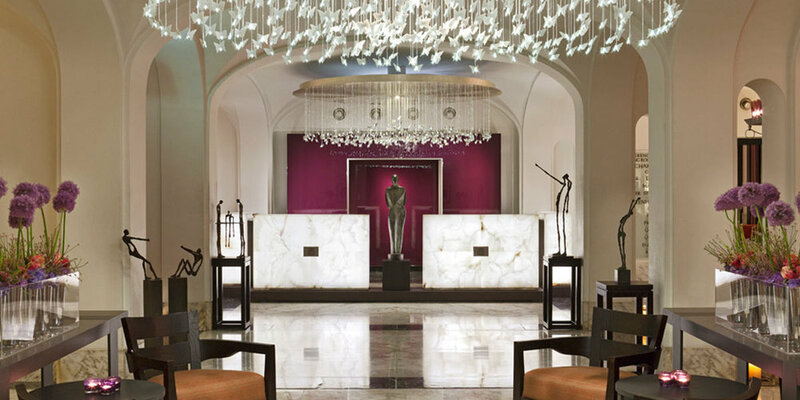 The rooms are so stylishly decorated and the entire hotel feels like you are staying in a palace. And not surprising as the Prince of The Netherlands was going to be staying at the hotel the week after my visit. My favorite touch is that, in the larger rooms, there is a “focal piece” replica of a work by one of the Dutch masters. Then, elsewhere in the room, is a smaller piece of art that is just a small portion of the larger piece. So clever. A wraparound terrace offers waterfront dining overlooking the historic city, and many of the best rooms have private balconies with views of the rooftops. And you don’t have to go far for extraordinary cuising, Hotel De L’Europe is host to the culinary delights at the two-Michelin-star-rated Bord’Eau Restaurant Gastronomique. I love this hotel so much. And I’d love to discuss it in more detail with you! 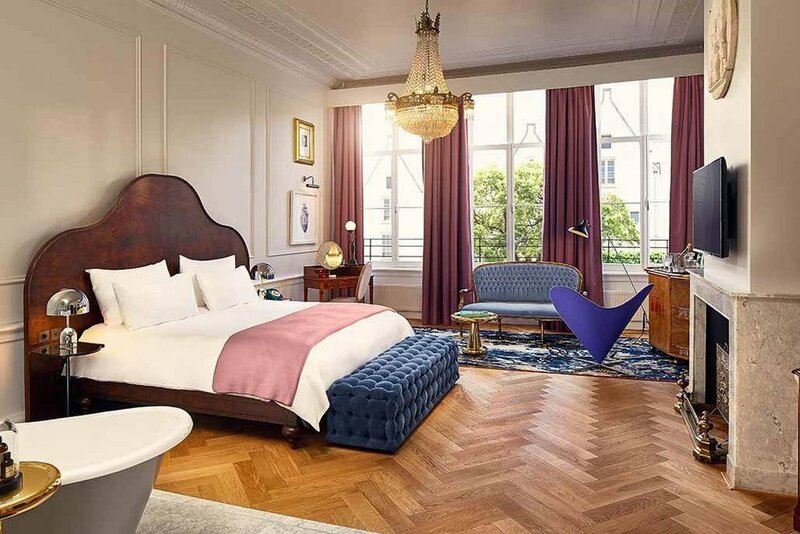 From a 15th-century convent to royal lodgings to Dutch Admiralty headquarters to the city hall of Amsterdam, the Sofitel Legend the Grand Amsterdam is a historically rich, 177 room hotel located in the city centre. A beautiful interior courtyard is a great place to grab a cocktail and reminisce about your day. If you are able to get a tour of this hotel, do so! Truly fascinating. The Pulitzer Amsterdam is comprised of twenty-five 17th century houses, this popular gem fills almost an entire city between two beautiful canals and is located just two short blocks from the Anne Frank House. Simply stated, this hotel is in an excellent location. Make sure to dine or have a cocktail in their beautiful and mazelike gardens. Comprised of twenty-five 17th-century canal houses, the property fills most of a city block between two of the city's most picturesque canals, two blocks from the Anne Frank House. It is often said that to really experience the Netherlands, you have to go outside of Amsterdam. And I 100% agree. Make sure you take a day trip to a tulip garden (season dependent). And you definitely don’t want to miss a day trip outside of the city to visit smaller villages where you can see real windmills, visit an authentic wooden shoe factory and partake in a cheese making workshop. You may think it seems cliché. But book a private canal cruise. To visit the Anne Frank House book early. Research the culinary scene and make reservations at least one of its world renown restaurants.